A powerful and moving account of four young women from Mexico who have lived most of their lives in the United States and attend the same high school. Two of them have legal documentation and two do not. Just Like Us is their story. A stunning work of in-depth journalism in the tradition of Random Family, Helen Thorpe's Just Like Us takes us deep into an American subculture -- that of Mexican immigrants -- largely hidden from the mainstream. We meet four girls on the eve of their senior prom, in Denver, Colorado. Each is bright and ambitious and an excellent student. Their leader, Marisela, dazzles teachers during the day and spends her evenings checking groceries to help pay the bills. She dreams of college and a professional career -- but she doesn't have a green card or a Social Security number because her parents brought her across the border illegally. Marisela's best friend, Yadira, shares her predicament. But they spend all of their time with two girls who are legal -- Elissa, who was born in the United States, and Clara, who has a green card. Each of the girls views the others as her equals, yet the world does not treat them that way. Their situation becomes increasingly painful and complex as the four young women approach adulthood, and Marisela and Yadira watch their two legal friends gain opportunities that are not available to them. All four hold American aspirations, but only Clara and Elissa have the documents necessary to realize those hopes. Their friendship starts to divide along lines of immigration status. Then a political firestorm begins. An illegal immigrant commits a horrendous crime in Denver, and a local congressman seizes on the act as proof of all that is wrong with American society. Arguments over immigration rage fiercely, and the girls' lives play out against a backdrop of intense debate over whether they have any right to live in the country where they have grown up. This brilliant, fast-paced work of narrative journalism is a vivid coming-of-age story about girlhood, friendship, and, most of all, identity -- what it means to fake an identity, steal an identity, or inherit an identity from one's parents and country. No matter what one's opinions are about immigration, Just Like Us offers fascinating insight into one of our most complicated social issues today. The girls, their families, those who welcome them, and those who object to their presence all must grapple with the same deep dilemma: Who is an American? Who gets to live in America? And what happens when we don't agree? This reading group guide for Just Like Us includes an introduction, discussion questions, and ideas for enhancing your book club. The suggested questions are intended to help your reading group find new and interesting angles and topics for your discussion. We hope that these ideas will enrich your conversation and increase your enjoyment of the book. 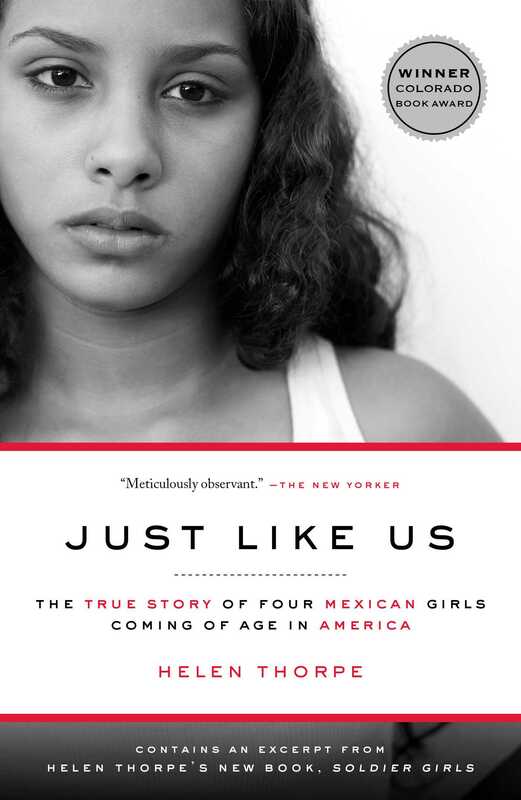 In Just Like Us journalist Helen Thorpe chronicles the true, coming-of-age story of four Colorado teenage girls: Marisela, Yadira, Elissa and Clara. All four girls have grown up in the United States, but only two have documents. As the girls attempt to make it into college, they discover that only the pair who have legal status can see a clear path forward. When another immigrant without legal status kills a Denver police officer, the political climate shifts dramatically. Politicians begin a fierce debate about illegal immigration. The growing debate coupled with increasing familial difficulties and tensions over their differences threaten to drive a wedge between the four girls who have promised to stick together through thick and thin. Just Like Us is a vivid account of adolescence, friendship, and identity. It also explores the realities of immigration, one of our country’s most complicated social issues. It challenges readers to question what makes us American, who gets to live here, and most importantly, what happens when we don’t agree. While at Theodore Roosevelt High School, Marisela, Yadira, Elissa, and Clara face all the same “growing pains” that any other teenage girl would. How are their problems compounded by Marisela’s and Yadira’s lack of legal status? Marisela pays state and federal taxes during her employment at a local supermarket, despite the fact that she is not a legal resident or a citizen. Thorpe writes, “even though she [Marisela] would never collect Social Security payments—she was padding the fund for America’s legal retirees.” (p. 39) Why do you think Thorpe chooses to mention this fact? How did you react to this statement? Discuss the differences between “Chicanos” and “Mexicanos” at Theodore Roosevelt High School. Were you surprised to learn that there are divisions within the Latino community? Where do the girls fit in? What tensions does this division cause? 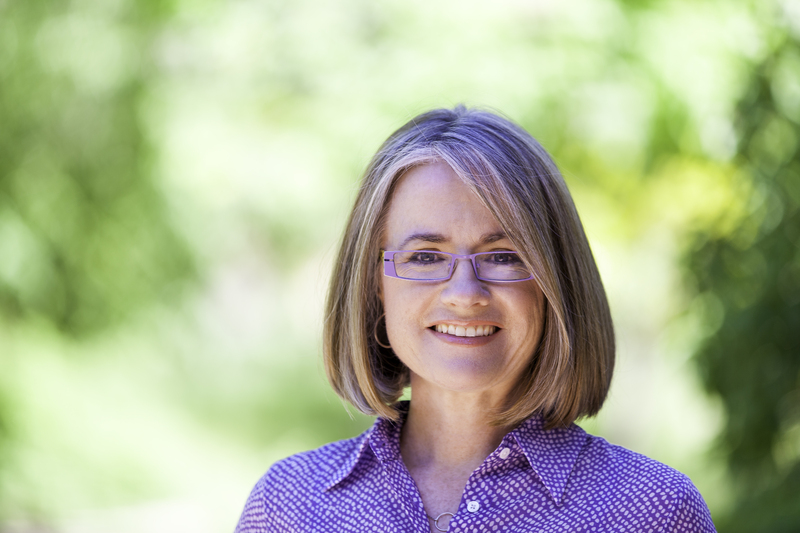 The author does not shy away from the tough issues that her husband, Denver mayor John Hickenlooper, faced during her writing of Just Like Us. Why do you think she chose to make mention of his difficulties? Do you think he ever made questionable decisions related to immigration? The girls bond over their common struggles. However, when Yadira, Clara, and Elissa obtain financial aid, they avoid telling Marisela. Yadira comments, “Now that I’ve got money, and she doesn’t, and I’m almost sure I’m going to make it—and that built a wall right there.” (p. 63) Do you think that the girls were destined to have these conflicts due to their difference in status? How is the financial aid experience a metaphor for the struggles that immigrants without legal status continue to experience? How does the dance showcase at Theodore Roosevelt parallel Yadira and Marisela’s relationship? How does it speak to the lives they lead in contrast to the lives that want? How does the shooting of Denver police officer Donnie Young cast an unfavorable spotlight on the immigrant community? How did the events surrounding the investigation of his death affect the girls? The author? Do you agree with the author when she theorizes that opportunities for immigrants were “curtailed by their lack of documents—their illegality perpetually threatened to stunt their potential.” (p. 149) Do you think Marisela and Yadira rise to these challenges? Just Like Us was originally published in 2009. Discuss how the political climate surrounding immigration has changed. If the girls were applying to college in the present day, do you think they would have had a different experience? In the introduction the author writes, “immigration is…inherently messy. The issue bleeds. And we are all implicated.” (p. 2) Do you agree? After reading Just Like Us what steps do you believe still need to be taken? It is obvious that the author comes from a much different background than the girls she writes about. At the conclusion of the book Thorpe comments that she was looking at Marisela from “across this cultural gulf.” (p. 379) Is Thorpe’s comment one of disappointment or of acceptance? Will that gulf ever close? Just Like Us begs the question “What makes us an American?” Is the answer any more clear to you after reading the book? What do you think makes someone “American”? Readers are first introduced to Marisela, Yadira, Elissa, and Clara on the eve of their senior prom. Have everyone in your book group share a story from their own experience at prom. Compare your prom memories and experiences to what prom was like for the girls in Just Like Us. Trace your family origins—where do you come from? Who were some of your ancestors? When did your family arrive in the United States? Share your ancestry findings with members in your book club. Illegal immigration was the political hot topic during the course of Just Like Us and continues to be headline news. Go online and research currents events relating to the on-going immigration debate. Bring an interesting discovery or related news article to share with your group. “Thorpe puts a human face on a frequently obtuse conversation, and in so doing takes us far beyond the political rhetoric." —O Magazine.